On the heels of the Goosebumps movie release on Blu-ray and DVD, Sony Pictures Home Entertainment (SPHE) has joined together with Scholastic, the global children’s publishing and education company, to donate 20,000 books to children in underserved communities as well as those recovering from crises or natural disasters in the United States. The books, featuring a selection of Goosebumps books by bestselling author R.L. Stine, are being donated through the Scholastic Possible Fund and will be distributed by Save the Children. “These books will make a lasting difference in the lives of young children in some of our nation’s most under-resourced communities. We work to give children in need the best opportunity to succeed in school and life, and encouraging reading together as a family early in a child’s life is critical to that goal. Sadly, many families we serve have no children’s books in the home when we start working with them. We thank Sony Pictures Home Entertainment and Scholastic for this generous donation,” said Carolyn Miles, Save the Children CEO. Scholastic is the global publisher of Goosebumps, one of the best-selling children’s book series of all-time. Today, there are more than 400 million Goosebumps books in print, 350 million in English and another 50+ million internationally in 32 languages. Goosebumps continues to be a powerful force in children’s lives for decades, making voracious readers out of reluctant ones. The motion picture adventure grossed $112 million worldwide and is now available on Blu-ray, DVD and Digital. “We are happy to partner with Scholastic and support Save the Children’s efforts to promote literacy nationwide. Just as the Goosebumps creatures were brought to life in the movie, we hope children are inspired to use their imagination and continue to bring R.L. Stine’s beloved stories to life,” said Lexine Wong, Sr. EVP, Worldwide Marketing, Sony Pictures Home Entertainment. “R.L. Stine has brought delighted chills to millions of young readers around the world through his scary and funny stories, and we are so happy to work with Sony Pictures Home Entertainment and Save the Children to help even more children around the world have the opportunity to own a book and discover the joy and power of reading,” said Ellie Berger, President of Scholastic Trade Publishing. The Scholastic Possible Fund was established as part of the Company’s Open a World of Possible reading initiative to provide donations of quality books to children who need them most. Books from The Scholastic Possible Fund are distributed through non-profit partner organizations that work to help children and families understand the importance of books and reading with the goal of improving global literacy. GOOSEBUMPS is now available from Sony Pictures Home Entertainment in Blu-ray and other formats. 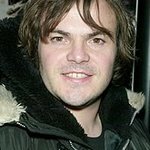 It stars Jack Black (School of Rock) as Goosebumps author R.L. Stine, along with Dylan Minnette (Prisoners), Ryan Lee (Super 8) and Odeya Rush (The Giver). The plot begins as Zach (Minnette) unwittingly unleashes magical monsters on the town, and must team with his new friends Champ (Lee), Hannah (Rush), and Stine (Black) to send the ghouls back into their books before it’s too late.